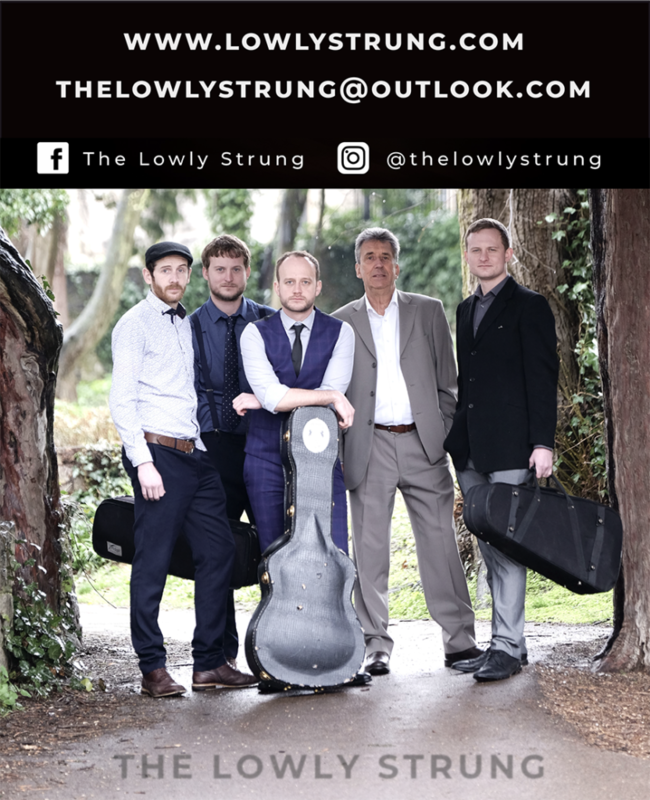 Maidstone-based Lowly Strung, an exhilarating five-piece Americana/bluegrass band, have been building a sizeable and passionate following across Kent and beyond for their vibrant and exciting blend of Americana and bluegrass music that has had younger music fans whooping and hollering with enthusiasm. The Lowly Strung’s NO TOMFOOLERY succinctly captures the band’s exciting genre-bending of bluegrass, old-timey and Americana musical styles. They mix in distinctive renditions of the Stray Birds’ No Part Of Nothin’, and the Wood Brothers’ Firewater with stylishly crafted original numbers and arrangements of traditional songs and tunes. Then there’s the reckless excess and bluegrass breakdown of 8 Dogs 8 Banjos contrasted neatly by their reverent rendition of Randy Newman’s timeless Louisiana 1927. It all adds up to a neat introduction to the Lowly Strung, a new young band with bags of musical experience that isn’t afraid to push beyond bluegrass music’s borders as they boldly take this music to a new young audience that is not confined by musical straitjackets but accept the music for what it is … vibrant, exciting, contagious and brilliantly played and sung.